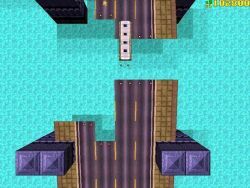 In a game which is, apparently, a remake of an older game called A Knot in 3D, you pilot a craft of some sort which draws its own walls behind itself. As the levels progress, the number of opponents, and opponents walls, increases until the “knot” theme of the game really speaks for itself. 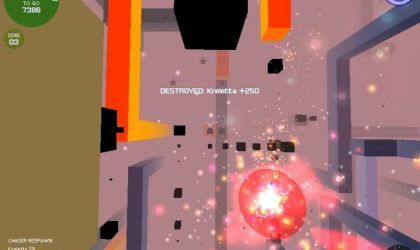 The design of the game could be likened to the Tron-style “LightCycle” games we’ve reviewed before (Armagetron; GLtron) except imagine it with no floor, a floating cycle and the “walls” of the level wrap – you can also move vertical or in any direction. It seems confusing, and the first few attempts at play are, though when seen in-action, the game really comes into its own. In order to advance, you are given a goal to aim towards, that is, a set amount of points. A constantly diminishing number in the top left corner will show you how many you have left to go, acting as a sort of timer before moving into the next level. The longer you travel, the closer you get to levelling up, though the level becomes crowded with walls and moving forward rapidly becomes a quick-fingered exercise. To assist your point scoring, there are several things you can do, firstly destroy your enemies. For the period they’re out of commission, they won’t be building walls, which means you can drive with more ease. 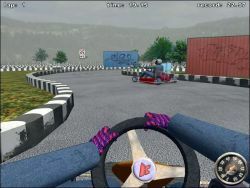 While driving, the walls will become obstacles and you may notice you’re doing “tricks” by accident – by timing your turns in accordance with already placed objects (ie. sections of wall) you’ll earn bonus points and combos. These not only give you more points, which allows faster levelling, but also they stock you up on ammunition for destroying further enemies and clearing away walls. With very attractive graphics and smooth game play which becomes increasingly complex as each level progresses, there are few things not to like about it. The lack of a multiplayer, either online or off, is a drawback and is sadly disappointing as single player mode does become repetitive during extended play periods. The game does contain extensive scoring and with a trick trainer you’ll soon be perfecting your tricks and combos, using up the positions on the board. Enjoyable, in bursts, and still fabulous looking, Counterclockwise is essentially a unique game play package. This is a very well made game. The graphics are simple but well done and effective, as are the sound effects. They give the it's distinctive atmosphere. The gameplay itself is very good. 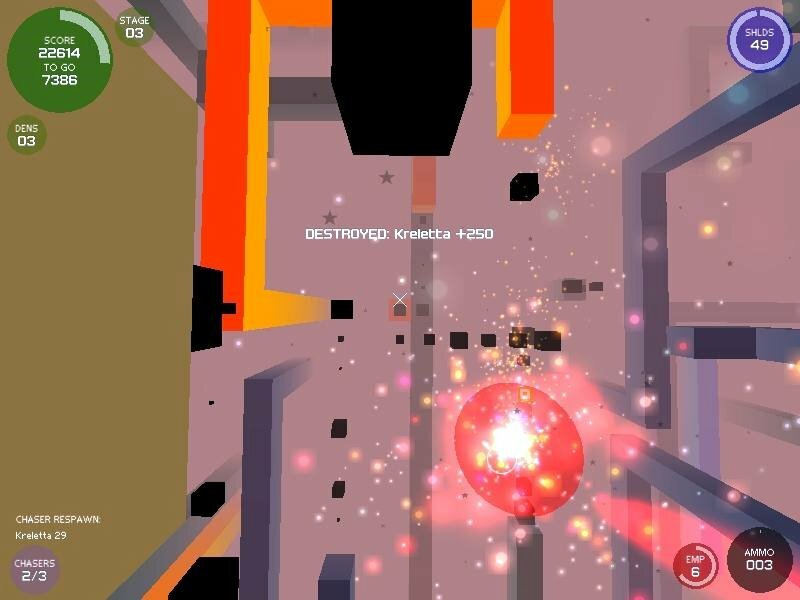 Doing tricks, avoiding walls, and trying to destroy your opponents, all this combined makes interesting and addictive gameplay. The kind of game which is easy to pick up, but difficult to master. I agree that this game would be awesome if it would have multiplayer. Maybe in the next version?